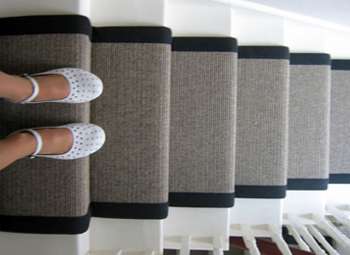 We offer a very large range of 100% wool carpets and very interesting textured and flatweave floorings. Wool is the most suitable fibre for almost any carpet, being one of nature' s most tactile yet tough and resilient fibres. From completley chemical free carpets such as the Jacob Velvet with a soft, yet very hard wearing smooth finish, to the most stylish cords, loops and textured weaves. If it is natural and can be used as a carpet we can supply it!